It seems like they are everywhere these days, doesn’t it? On every street corner. In every advertisement on the radio. And don’t even look at the Business section of the newspaper! Though the number of banks in the U.S. has fallen by nearly 3,000 over the past fifteen years, it seems like you cannot go anywhere without hearing about another bank that is the best financial institution for you and your business. Banks are an important partner for your business, and it is critical to find the bank and banker that will work with your culture. But with so many out there, how can you find the right one? The three factors below may be vital in determining the correct financial partner for your business. For some businesses, especially those in a growth phase, it is important to know whether or not you are looking for a bank that truly wants to partner with you in an advocacy and advisory role or one that is simply looking to provide products with limited interaction. A relationship-focused bank will work with you on a regular basis to understand the financial picture of the company, including its history and future expectations, the diversity, expertise, and experience of the management team, and will keep you updated frequently on products and services that may be critical to your business. A relationship-focused bank will value your input (maybe even on loan structure or interest rates!) and will usually work with you to educate the entire management team on the best loan or treasury management product services that most appropriately allows the business to progress. A relationship-based bank will seek a financial partnership with you and your company and will often have experienced, well-trained employees that have worked with companies in various industries and phases. Conversely, other banks are focused on transaction volume and may not be seeking as much interaction between its bankers and customers. These banks are generally searching for sales opportunities and may not provide as much feedback or guidance as a relationship-focused institution. Often with a transaction-focused bank, you may provide financial information for a loan request and then get a response some time later with a financing offer and limited interaction during the initial prospect meeting and the underwriting process. Likewise, there may not be much communication between you and your banker until a renewal period or when financial information is due on an ongoing basis. If this type of bank is best for your business, a relationship-based approach banker may feel like a “nuisance” to you as they attempt to understand your business more. Though banking may sometimes be considered a commodity product, there can be a large difference in the way a bank works with its clients simply based on its size and location. Regional and national banks have a much larger presence with retail and commercial centers throughout a large footprint. If your business maintains a presence in various geographic locations, a regional or national bank might fit your need for check cashing, ATM services, and lending in multiple markets. Additionally, financial institutions are governed such that they are only allowed to lend up to a certain amount according to their capital bases. Because of this, larger regional and national banks may be able to provide funding for loans that is in excess of smaller community banks. If your business maintains significant lending needs as well as the potential for large growth, a regional or national bank may fit your business’s culture. A true community bank maintains a strong presence in the community in which it serves often engaging in activities and sponsorships that will impact its locality. Their bankers also live in and are consumers of the area to which they lend and may have a solid understanding of economic conditions within the market. Most notably, loan and deposit decision makers, including the Executive Management team, often reside within the same market and are easily accessible to the customers of the bank. You may have heard from your lender or other bankers in the market that each institution has a certain “credit culture.” This terminology usually refers to the amount and type of risk that your bank is willing to take. For example, one bank may be highly reliant on financial covenants for loans they extend while another may not feel obligated to require covenants. In some bank cultures, your business may also require significant financial reporting while a more liberal credit culture could allow for providing less frequent financial information. Some business owners appreciate financial reporting and covenants that could allow them to focus on profitable growth while others may find them burdensome, especially if the company has been operated successfully for an extended period of time. When determining the bank’s credit culture that is best for your business, make sure to work with your accounting team or advisory service to ensure expectations are clearly defined and reporting requirements are feasible. There are many factors that can help you determine the right banking fit for your business, and the three detailed above may be important in understanding the steps you should take to find the most advantageous current and future financial partner as your business grows. While your need for banking services may feel immediate, take the time to get to know your bank and your banker. When you can build a relationship with a bank that fits closely to your organization, short-term opportunities can then turn into long-term positive experiences that meet the needs of your business both today and in the future. 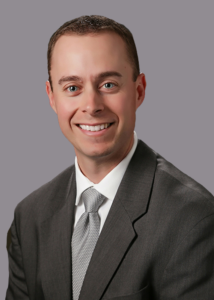 Matt Paciocco is a Senior Vice President, Commercial Banker with Virginia Commonwealth Bank. 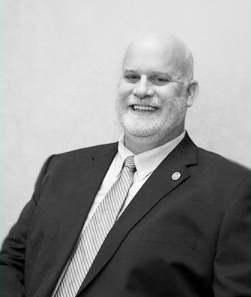 Matt is passionate about working with a community bank that enables him to build strong relationships with his business customers and the surrounding communities. 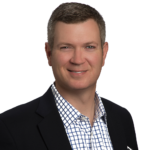 Matt has spent the last 14 years specializing in commercial banking and has positioned himself as a leading community banker in Richmond. Please visit Virginia Commonwealth Bank’s cottage at the upcoming VACEOS Retreat. Editors Note: VCB is a trusted Sponsor of VA Council of CEOs. In nearly every industry and particularly those in B2B markets, the sales organization is the lifeblood of a company’s growth. While these teams are universally tasked with the same goal, namely creating revenue from new accounts and driving incremental sales from existing accounts, we have seen sales organizations structured in many ways, with varying results. Often, these teams are overly reliant on a handful of superstar salespeople and lack the leadership, organization, tools, and accountability necessary to grow to the next level. In the early stages of a company’s development, sales organizations are often composed of the company’s founder or a single sales leader driving the company’s growth. 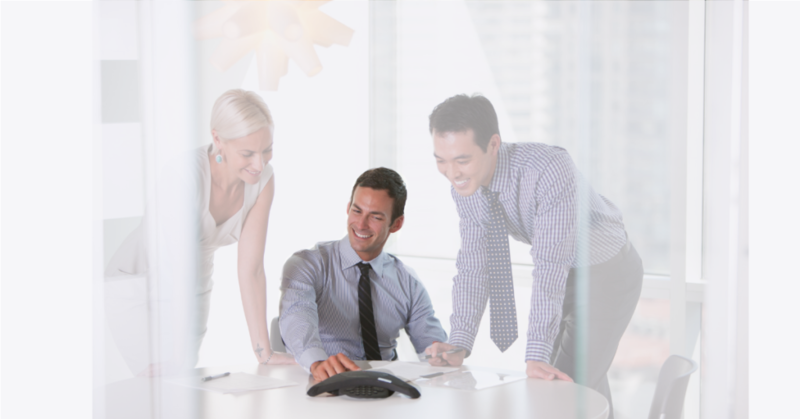 Given the dual role, sales processes and tools are limited or nonexistent. Sales efforts rely on the personal connections and outreach of the founder or single sales leader. Inbound efforts and account management may be performed as part of the service and support organization’s responsibilities, and concerted sales efforts are often a secondary concern at this point. In the next stage of a company’s development, sales organizations comprise a collection of one-man bands, typically reporting to a VP of Sales. Each of these salespeople are responsible for prospecting, qualifying, and closing new business. They are often assigned a specific geographic territory and given quotas as annual sales goals. A variety of activities, including new customer calls, meetings, proposals, and closings, are measured and tracked against targets as each salesperson drives towards their individual quotas. While this structure can be effective for a period, the One-Man Band model, which relies on individuals to perform the full spectrum of sales tasks, lacks the scalability and efficiency necessary to drive significant long-term growth. Phase 3 sales organizations morph from a collection of individual utility players to a system of specialists focused on one of the four fundamental aspects of the sales conversion process. 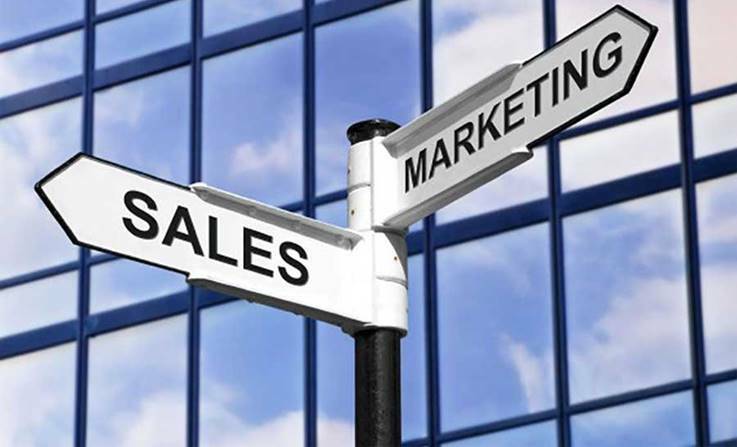 Sales Development – Outbound: These sales reps are the hunters that focus on prospecting and qualifying new leads, which are then handed off to the Account Executives. Often termed Outside Sales, these professionals are in the field, networking and uncovering new potential opportunities. Sales Development – Inbound: A second group of sales reps handle inbound, warm leads that come from the company’s advertising, marketing, and other lead generation efforts, including webinars, word of mouth, and online SEO. 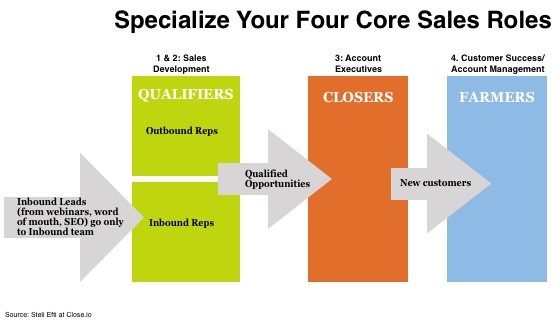 All inbound leads are routed to this team, and then qualified leads are passed to Account Executives. 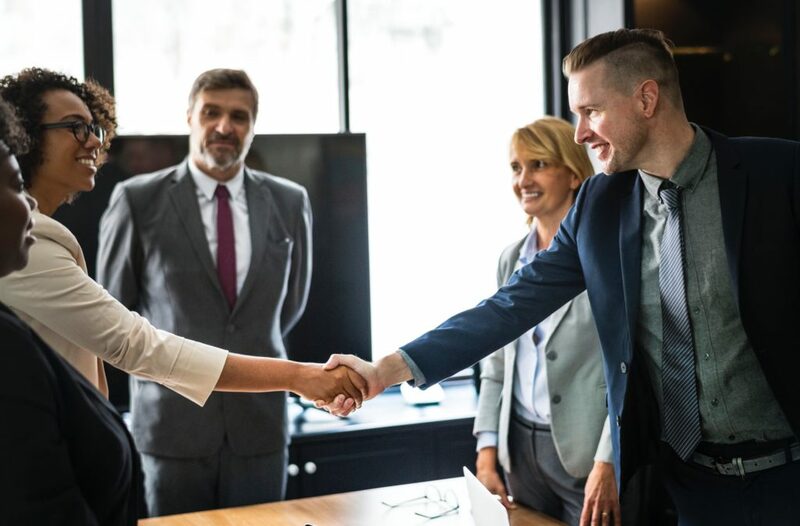 Closing the Deal: Account Executives receive qualified leads from the sales development team and focus their time and energy on closing the sale. Typically, these are the company’s more senior and experienced sales professionals. Ongoing Account Management: Newly converted customers are transitioned to a customer success account manager, who serves as an ongoing point of contact, handles documentation and any other onboarding, and is responsible for ongoing customer success and mining follow-on opportunities. The fourth phase of sales organizational structure builds on the specialist framework, creating multiple teams focused on particular target market segments, product lines, or geographies. Each of these teams comprises a combination of specialists, so that the full spectrum of the sales conversion process occurs within each group. The composition of the four types of specialists within each team may vary depending on the nature of the sales process within a given market. As an example, one team may have an extra Inbound Sales Development Rep to handle higher volumes of incoming prospects, while another may have an extra Account Executive if their closing process is more time-intensive. No matter which sales organization structure your company implements, effective sales leadership is critical. The best sales leaders create a culture of discipline, accountability, and transparency that permeates the sales team and focuses on key activities known to support the company’s strategic growth initiatives. Activity tracking, weekly sales team calls, rigorous pipeline reporting, and targeted compensation are key tools effective sales leaders use to manage their teams and report out to the company’s executives. Jonathan Brabrand is a Managing Director at Fahrenheit Advisors. 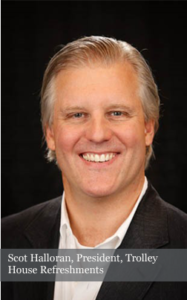 His passionate about helping businesses prosper and maximize value to their employees, customers, communities, and owners. 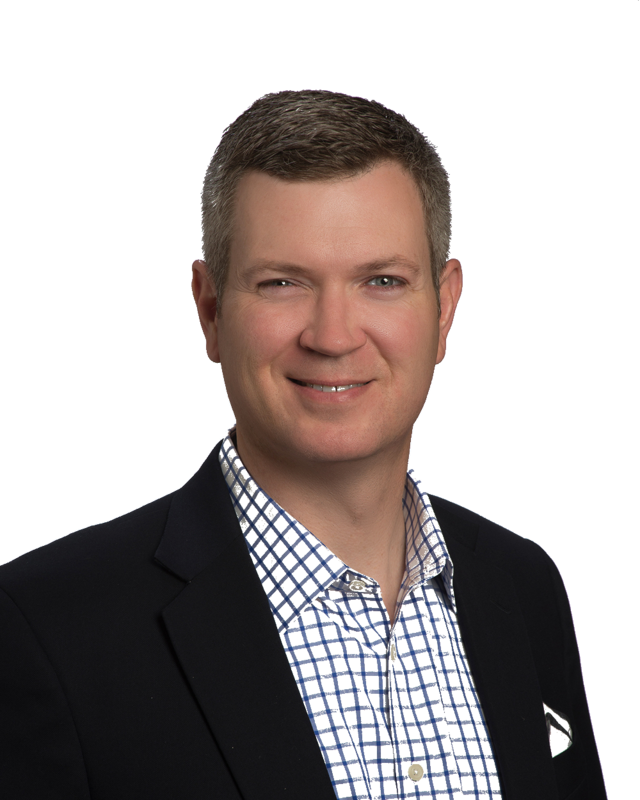 Instilled with a spirit of entrepreneurism from a young age, Jonathan draws on his experience as a business owner, trusted strategic advisor, and investment banker to identify and overcome the challenges clients face. Learn more about Jonathan Brabrand. Editor’s note: Fahrenheit Advisors is a trusted Sponsor of VA Council of CEOs. This article was originally posted to FahrehenheitAdvisors.com. For Mo Fathelbab, founder of Forum Resources Network, this news was unsettling. Fathelbab is often called in to train and coach VACEOs Roundtable members on how to get the most out of their roundtable experience. In fact, his book Forum: The Secret Advantage of Successful Leaders is required reading for all new members. 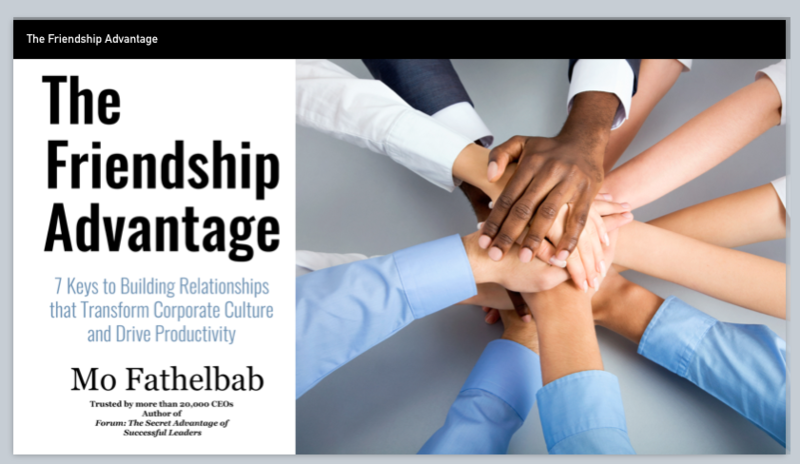 “Having friends at work has profound impact on productivity, happiness and company culture,” says Fathelbab. 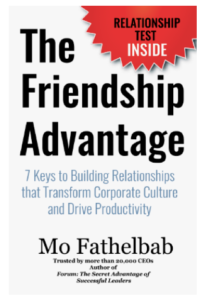 At the luncheon event, Mo introduced his new book, The Friendship Advantage: 7 Keys to Building Relationships that Transform Corporate Culture and Drive Productivity. The content features guiding principles to help you be a better person and leader, and viable ways to help you strengthen employee bonds in your organization. 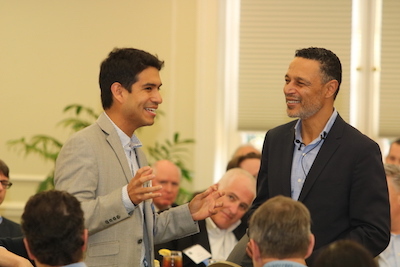 For business owners, The Friendship Advantage promises to help them strengthen the bonds that improve employee productivity, happiness and well-being, as well as boost bottom lines through higher retention rates and a richer company culture. 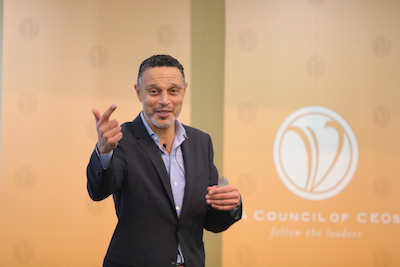 *Source: Mo Fathelbab Presentation, “The Friendship Advantage;” January 24, 2019; VACEOs Quarterly Luncheon. Your Business Just Got a Negative Review. Now What? And like it or not, your buyers’ journeys often begin on Google. According to Leone, prospects who search for a type of service in the search engine (e.g., “staffing company VA”) are more likely to choose companies that have strong reviews associated with them. If a customer doesn’t know your web address and chooses to search using your business name (e.g., “ACME Supply”), they’ll quickly discover reviews of your business along with your website. A search result page littered with low-star reviews doesn’t make a great first impression. Another not-so-great look? Poor ratings on Glassdoor – a well-known site where employees can rate their employers. To sum: Less-than-stellar reviews can impact your brand image, your bottom line and the likelihood that a star employee will come calling. Think only B2C business owners should be concerned with customer reviews? Think again. There are myriad review websites that closely examine the services and products B2B companies provide, too – from Amazon Customer Reviews to Which? to TrustPilot. If you own a business, it’s also important to monitor your online presence on sites like FinancesOnline, G2Crowd and bbb.org (Better Business Bureau). YOU GOT A NEGATIVE REVIEW. NOW WHAT? 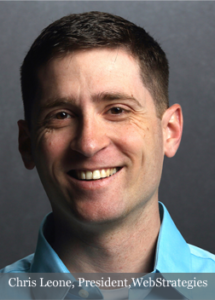 Halloran is diligent about asking for customer feedback; in fact, he uses a local service to contact customers who’ve used his service in the last 30 days. It’s a great source for garnering positive reviews. His (thankfully) limited experience with negative reviews has taught him that folks are often quick to pull the social media trigger rather than contact a business owner directly with a concern or complaint. “Typically, what we find is that [a negative review] stems from not necessarily the contact you’ve been doing business with directly, but someone else in the organization that just has a beef, and rather than reaching out to us as an entity, they just go straight to social media,” says Halloran. Most importantly: Be diligent and vigilant, and respond quickly should an issue arise.